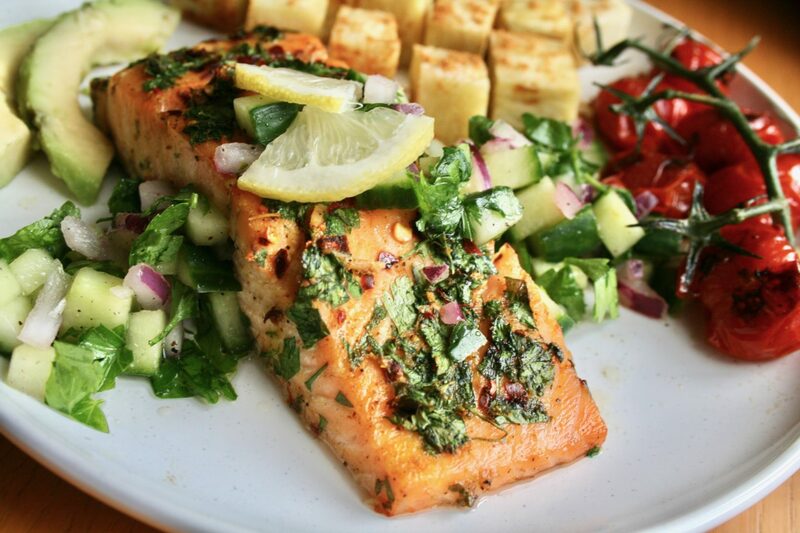 If there was ever a dish to brighten up your day, it would be this one! 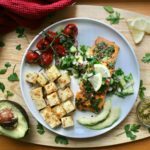 The flavour combination from the omega-3-filled salmon, the crunch from the yam, the spiciness from the suya (West African peanut and chilli spice) and the refreshing aroma from the salsa make it one of the most perfect and delicious recipes you could ever make! Better yet, this recipe only took a total of 40 minutes to prepare! My Ghanaians, I know you have become acquainted with traditional fried yam but trust me, baking instead of frying gives you the crunch without the guilt and extra calories! 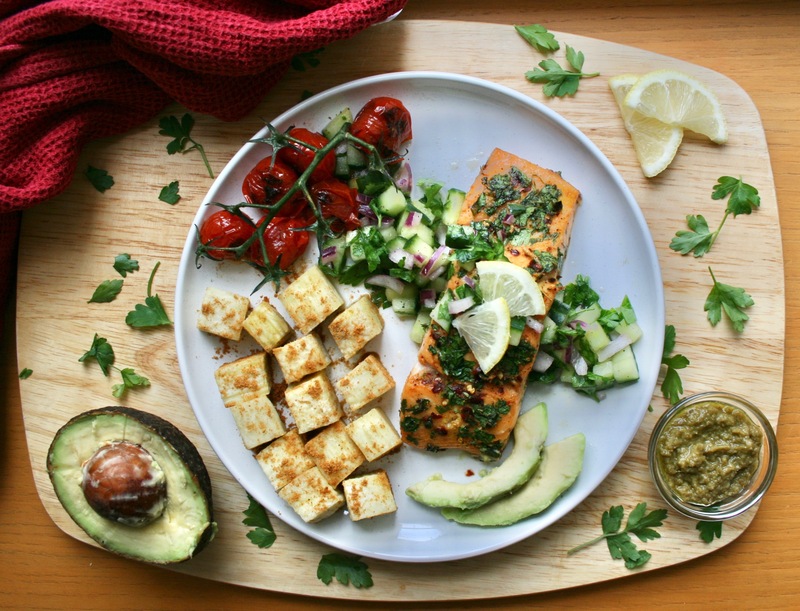 This dish is filled with healthy fats from the salmon, loads of veggies and portion-controlled starchy carbohydrate (yam). 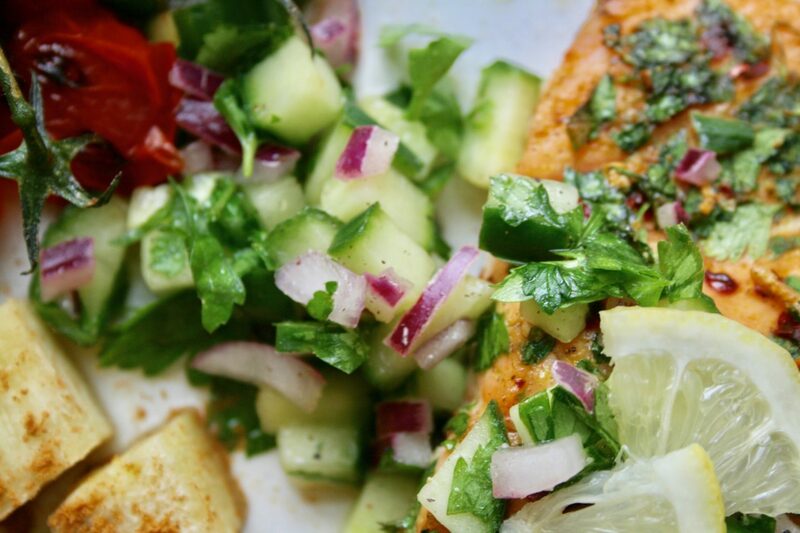 Preheat your oven to 180*C.
Wash your salmon and ensure it's de-scaled. 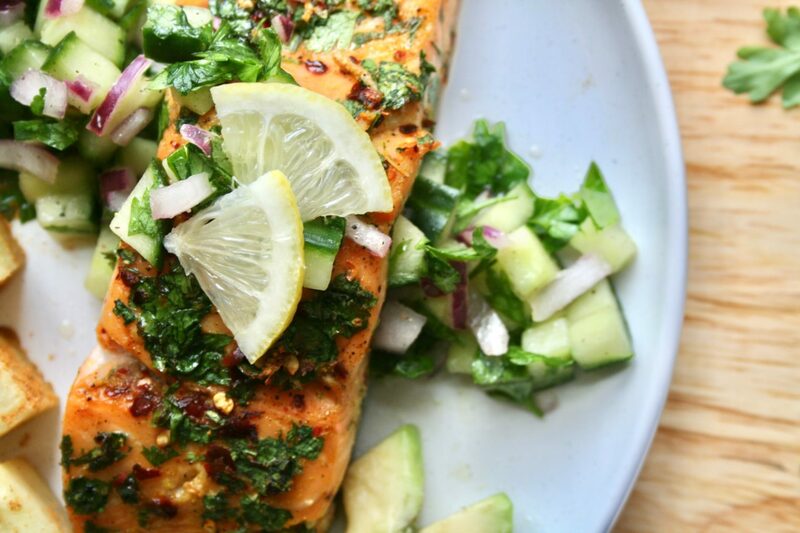 Marinate your salmon in the parsley, garlic, all-purpose seasoning, chilli flakes and coconut oil. 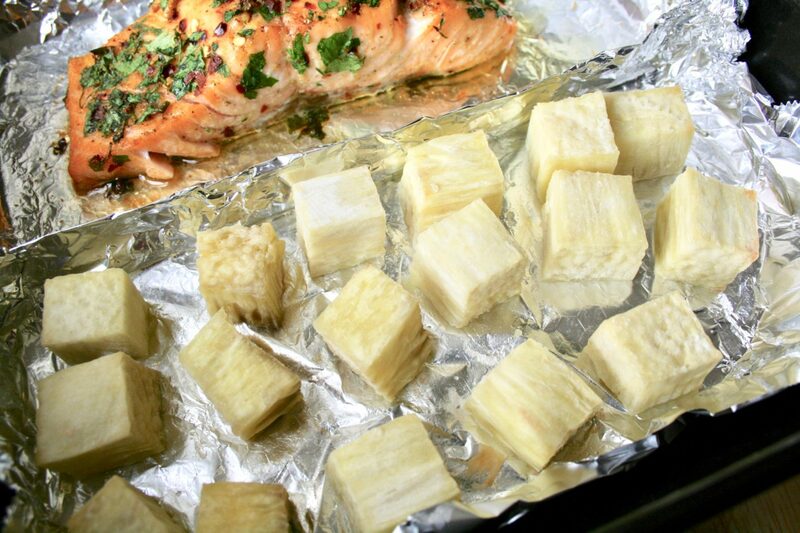 Cut your yam into cubes and coat in salt and coconut oil. 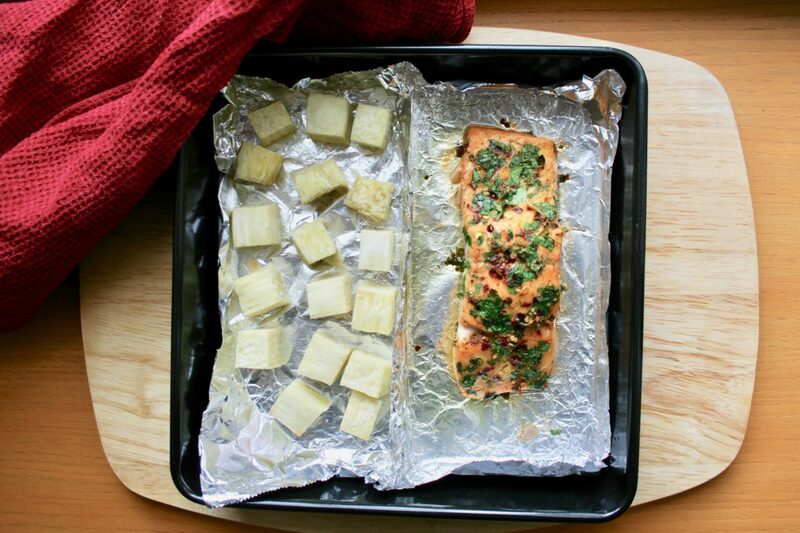 Line a baking tray with foil, creating a separation wall in the middle. 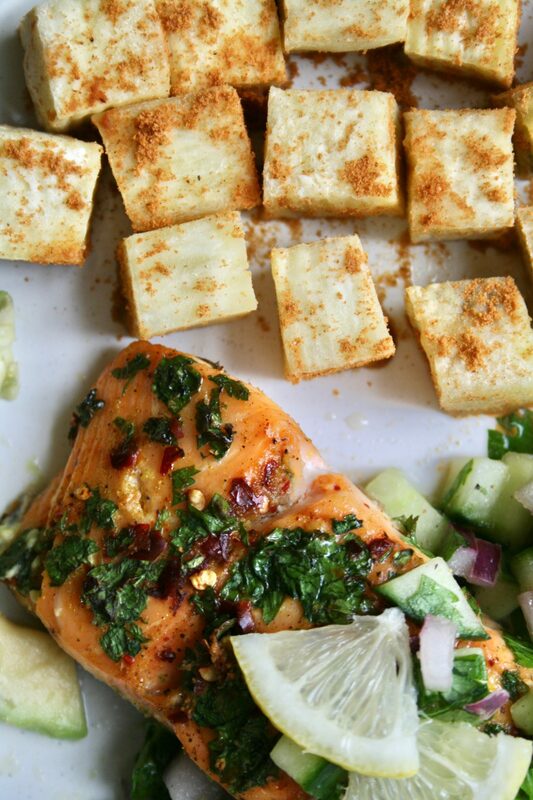 Place your salmon on one side and your yam on the other. 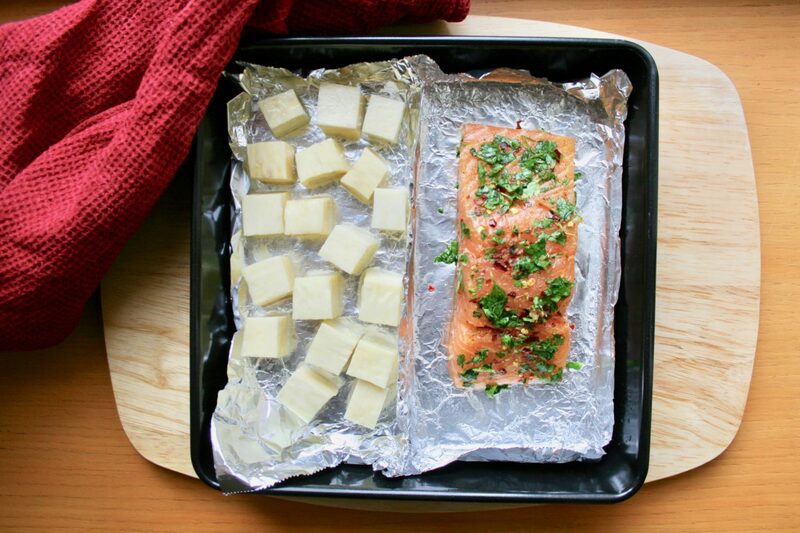 Place in the oven for 20 minutes or until the salmon is cooked through. 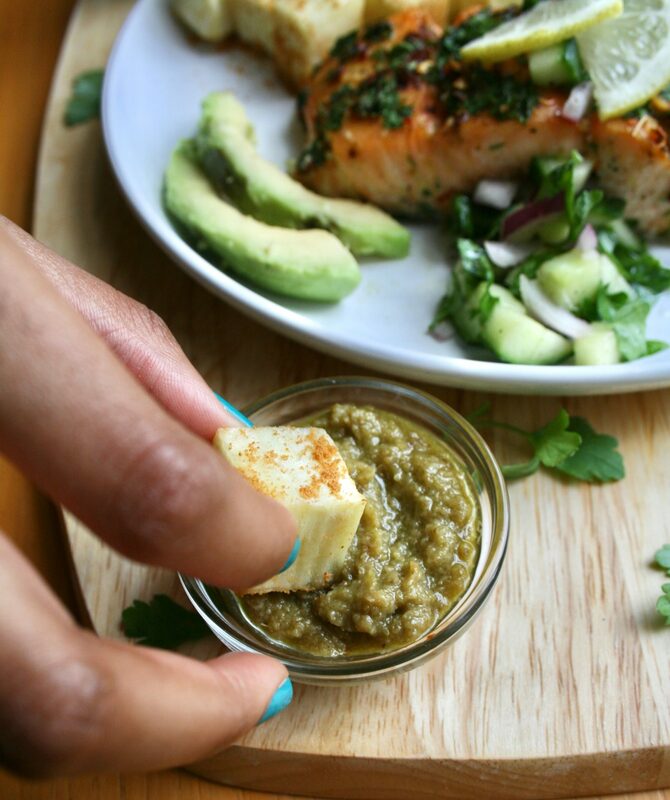 Chop your cucumber, parsley and red onion into small pieces for the salsa. Add 1 tsp of fresh lemon juice, 1 tsp of extra virgin olive oil, salt and black pepper. 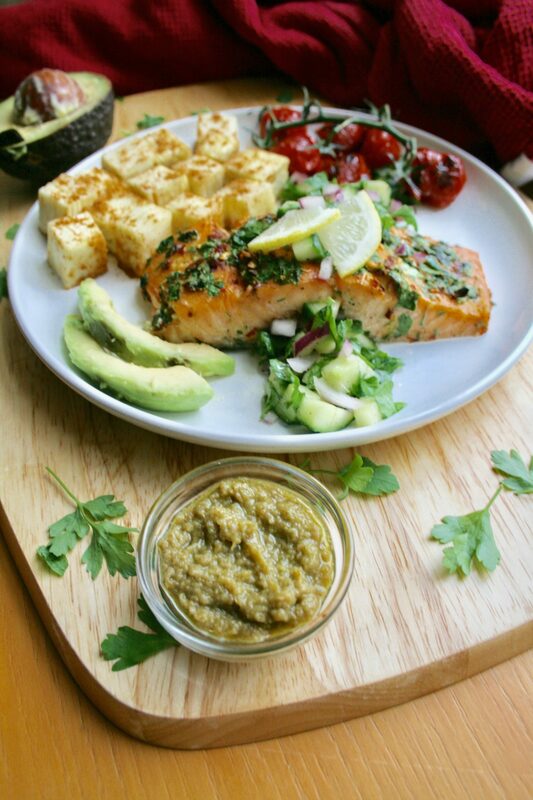 When your salmon and yam are ready, take out of the oven and plate with the salsa. Sprinkle your suya powder over the yam and enjoy with some avocado, kpakposhito sauce and grilled cherry tomatoes! Subscribe for more + a FREE meal planner! Don’t forget to follow my Instagram for insights into my personal life + recipe demos! 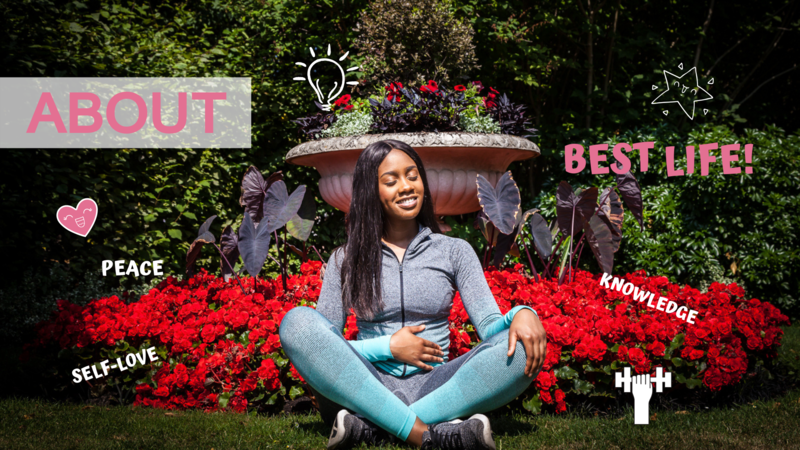 ⟵BBBB PLUMP PEACH (GLUTES) CIRCUIT!